Happy Friday! 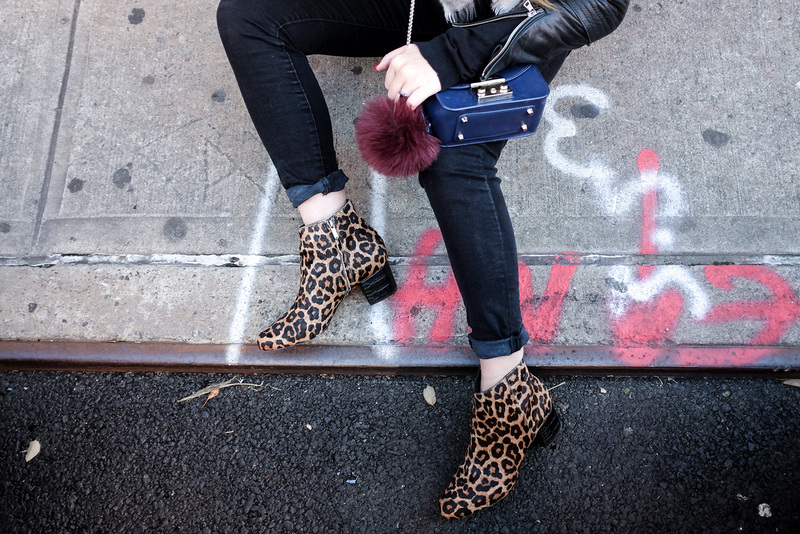 Let’s talk about current favorite statement ankle boots of the season. 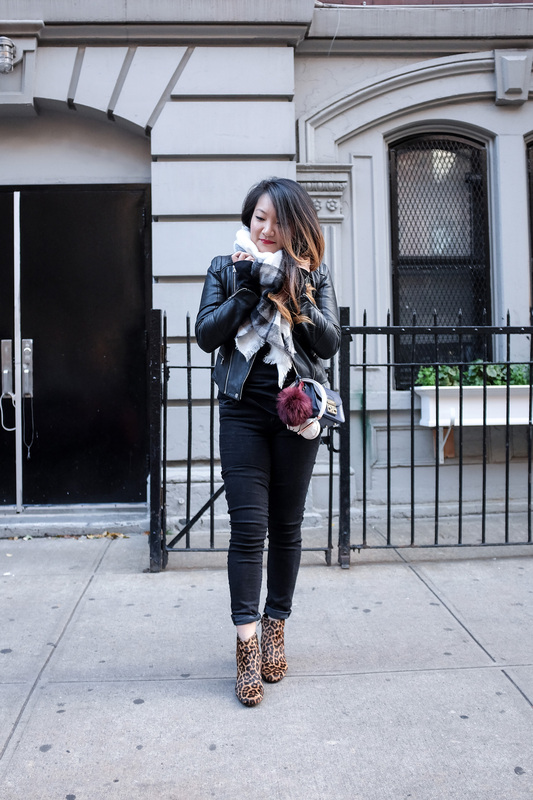 Leopard print ankle boots! I saw these on Netaporter and immediately scooped them up. 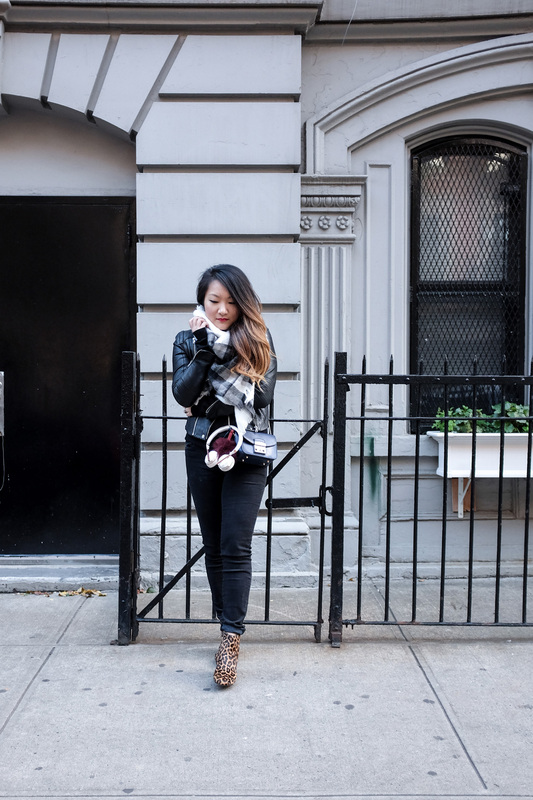 Its the perfect way to immediately liven a monochromatic outfit. I love the calf hair on the leopard print upper and the croc embossing in the heel. It’s the details that make it super luxe! I can’t believe its so cold already. Definitely had to bring the blanket scarf back out. Shop: I found some other designers that make similar booties down below.